What Are the Best Essential Oils for Hair Growth? Sebaceous glands found in the skin and scalp produce sebum, which helps to keep the skin and hair hydrated. While it may seem like we do not need any more oils, creams or lotions for the scalp, exposure to weather elements coupled with regular washing can strip away the oily protective layer i.e. sebum leaving the skin and scalp dry and flaky. While some experts recommend very frequent brushing of up to 1000 times per day to stimulate growth and shine, we can all agree that results will vary, depending on your kind of hair. Especially for brittle and dry hair, too much brushing can cause split-ends or hair loss. With Shampoo cleaning the hair and Conditioners smoothening it, it's easy to over-do it by using too many chemicals on a regular basis, which can weaken hair and scalp. In addition, more of the natural oil your body produces to nurture your hair is lost, leaving it to rely on only the synthetic oil from your hair products. With the purpose of making your hair more manageable during styling, long term use of these products can instead have the opposite effect: making your hair unhealthy and more difficult to manage. While natural oils are present in mousse and sprays, they are often preserved by the use of synthetic oils. To counter the effects described above, essential oils have proven as a natural alternative to the widely used hair care products with rather questionable ingredients. Essential oils for hair are the next best option for locking in the moisture and promoting hair growth. Generally, herbal oils do not have adverse side effects and will in fact provide your sensitive hair the protection it requires while adding extra sheen. Oils such as lavender, cedar, castor, tea tree and others offer therapeutic benefits, including improving blood circulation in your scalp, which stimulates hair follicles and promotes hair growth. Essential oils can also alleviate hair problems such as hair loss, premature graying and chronic dandruff. Even if you do not have any of these conditions, herbal oils are excellent for improving and maintaining the overall health of your hair. Essential oils for hair are potent and should not be applied to the scalp directly. For best results, mix your essential oil of choice with a gentler carrier oil such as coconut or jojoba oil. Alcohol, vinegar and flower-induced water are also excellent for diluting essential oils before applying to sensitive skin.When deciding which herbal oil to use for hair, you should consider the condition of your scalp and the nature of your hair. Different oils have different purposes—if you have difficulties with dandruff, you may need a different essential oil than someone with an oily scalp. Here are the best essential oils for hair growth. Try them to enjoy faster hair growth, healing of the scalp and healthy hair overall. Chamomile oil works to protect the hair from the effects of weather elements and pollutants that can easily damage the hair. Before applying chamomile oil to the scalp, mix 2 tablespoons of the oil with jojoba essential oil. This non-greasy blend seeps into the scalp and protects hair from damage from the sun. You can make a conditioning rinse by adding 10 drops of chamomile oil to about a liter of water. Alternatively, you may infuse chamomile flowers with water and use this mixture to rinse your hair after shampooing it. Chamomile essential oil can also be used as a conditioner to make the hair look healthy. Lavender essential oil is perhaps the most popular herbal oil for hair. Extracted from Lavandula angustifolia flower, lavender oil is known for its calming effects and its mildness, which lets you enjoy the benefits of this oil regardless of your type of hair. Massaging lavender oil into the scalp helps to stimulate hair follicles, promote better blood circulation, boost hair growth and prevent loss of hair. Warm 2 tablespoons of extra virgin olive oil or coconut oil and mix this with 10 drops of lavender oil. Massage this mixture into the scalp, cover your hair and allow the essential oil treatment to nourish your hair overnight. In the morning, wash your hair and style. Lavender may also be applied on the temples to relive stress and promote better sleep, which can help in boosting hair growth and the general health of your hair. When massaged into the scalp, lavender essential oil moisturizes and balances the production of sebum so that your scalp is neither too oily nor too dry. In fact, this type of oil is perfect if you have a mixed scalp type, for example, dry in the middle and oily at the back. Lavender oil is known for its antimicrobial and antibacterial properties, making it a great essential oil for controlling dandruff and the itchiness that may accompany this condition. Massage a few drops of lavender oil on the scalp to alleviate scalp acne caused by bacteria or fungus-related infections. Cedar essential oil is extracted from the Cedrus atlantica tree. Other than its tantalizing woody fragrance, cedar essential oil works wonders when it comes to alleviating dandruff and reversing alopecia areata.Cedar oil balances sebum production ensuring that your scalp and hair is neither too greasy nor too dry. To soothe dry and flaky scalp, mix up to 3 drops of cedar oil with two tablespoons of coconut oil and apply to the scalp. For best results, allow the oil to stay in your hair for about 2 hours before shampooing your hair. If you have an oily scalp, add 5 drops of cedar oil to you regular shampoo then wash your hair with this mixture. Warming cedar oil before massaging it into the scalp helps to boost blood circulation and stimulate hair follicles leading to robust hair growth. This essential oil also has antiseptic properties that help to treat hair problems such as dandruff caused by fungus or bacteria. Rosemary essential oil is extracted from Rosmarinus officinalis leaves, which are also used in many recipes. If you like the mix of woody, minty and earthy fragrances, rosemary could very well suit you.Rosemary essential oil contains antioxidants, which aid in reducing thinning and premature graying of the hair. Hot oil treatments can strengthen your hair and add sheen, and rosemary essential oil for hot oil treatment brings about great results. Warm 3 tablespoons of extra virgin oil then allow to cool before mixing it with 10 drops of rosemary essential oil. Massage this mixture into your scalp and leave it in for about an hour before shampooing your hair. When the rosemary hot oil treatment is absorbed into the scalp, it helps to unclog hair follicles therefore preventing excessive greasiness and dandruff. Rosemary hot oil treatment also helps to promotes robust hair growth. Additionally, this essential oil stimulates the hair follicles and promotes blood circulation, which is vital for hair growth.Applying rosemary oil to the scalp can eliminate dandruff. However, if you have oily hair, rosemary essential oil can also aid in balancing production of sebum, therefore preventing the onset of scalp acne caused by clogged pores. Many people who use rosemary oil report to having healthy non-greasy hair. Clary sage essential oil is extracted from the herb Salvia sclarea. This essential oil contains phytoestrogen, which promotes hair growth and has been shown to reverse premature balding in long-term studies.Clary sage oil works to treat dandruff and to control the production of sebum. Whether you have a dry or oily scalp, you can enjoy the benefits of clary sage essential oil for your hair. If you have dry hair, mix 2 tablespoons of coconut oil with 10 drops of clary sage oil before applying to the scalp and hair strands for silky soft hair. Use clary sage essential oil for hair growth by mixing the same amount of jojoba oil with clary sage oil and apply to scalp. Leave the oil mixture in for about one hour before shampooing your hair. People with frizzy hair can use this essential oil to soften the hair. Thyme essential oil is extracted from Thymus vulgaris and works to promote blood circulation and to stimulate hair follicles, giving way for robust hair growth. Many anti-hair loss products contain thyme essential oils to prevent hair loss.The antimicrobial properties of thyme oil help to treat scalp conditions including psoriasis, dandruff and dermatitis. Before applying thyme essential oil to the scalp, mix 2 drops of the oil with 5 drops of lavender oil and add 2 tablespoons of extra virgin olive oil. Leave the essential oil blend in for 30 minutes before shampooing your hair. For best results, it is recommended that you dilute the potent thyme oil with a milder essential oil such as lavender or carrier oils such as jojoba or coconut. Did you know that lemon too is a source of essential oil? That’s right---lemon rinds have glands that produce lemon essential oil, which works to eliminate excessive oil on a greasy scalp.An oily scalp is prone to acne and related dandruff. To minimize dandruff and excessive oil production in the scalp, add 2 tablespoons of jojoba oil with 6 drops of lemon essential oil and massage into scalp. Leave in for about two hours before cleaning hair with a mild shampoo. Alternatively, you could mix a few drops of lemon oil with warm water and use this conditioning rinse after shampooing your hair. Be sure to do a final rinse with plain water. Lemon oil’s antimicrobial and antiseptic properties help to alleviate minor infections that can worsen dandruff or acne if left untreated. Peppermint essential oil for hair not only has a calming fragrance; it also works great to sooth the skin and scalp. The tingling effect of peppermint oil serves to stimulate hair follicles, giving way to hair growth.Applying peppermint oil on the scalp has a cleansing effect that prevents pores from clogging, which can cause scalp acne. For best results, mix 5 drops of peppermint oil and of lavender oil and add two tablespoons of warm coconut oil. Massage this mixture into the scalp and allow it to penetrate for about 30 minutes before shampooing your hair. Before applying peppermint essential oil to your scalp or skin, do a patch test on a small section of your skin. Peppermint is known to cause skin irritation in people who are allergic to minty herbs. If you have a dry scalp, peppermint oil can aid in restoring regular production of sebum and treating dandruff brought on by dry skin. Patchouli oil is extracted from Pogostemon cablin, which belongs to the mint family. Patchouli essential oil has antiseptic and anti-inflammatory properties that help in treating scalp and skin problems including psoriasis, eczema, dermatitis, acne and dandruff. When these problems affect the scalp, they can lead to hair loss and so patchouli essential oil works to slow hair loss. Mix 3 drops of patchouli essential oils with 6 drops of rosemary oil and add 2 tablespoons of argan oil. Argan oil enhances patchouli oil’s ability to prevent dandruff and acne. Apply the herbal oil blend and leave it in for about two hours before shampooing your hair. Patchouli essential oil has a strong smell but this can be minimized by using a lavender oil or lemon conditioning rinse. Tea tree oil comes from Melaleuca alternifolia and has strong healing properties for skin and scalp problems. Unsurprisingly, many anti-dandruff products contain tea tree essential oil. This essential oil keeps the scalp moist and soothes the itching that is characteristic of a dry scalp. To enjoy the benefits of tea tree oil for hair growth, mix the oil with 2 tablespoons of mild carrier oils such as coconut or sweet almond to minimize the potency of tea tree essential oil. Before applying the essential oils blend, apply any of the carrier oils to the scalp to form a protective layer. Leave in the mixture for about 30 minutes before shampooing your hair. To minimize the effects of scalp acne and dandruff, mix 5 drops of tea tree oil with your regular shampoo and use this to clean your hair. Like coconut oil, tea tree essential oil has a light molecular weight and can penetrate deep into the scalp to stimulate hair follicles, unclog pores and promote normal production of sebum.Tea tree oil has antimicrobial properties making it a great oil for treating fungal and bacterial infections that can worsen scalp acne. Vetiver essential is extracted from Chrysopogon zizanioides and works to slow hair loss related to stress and abnormal heating of the body.Chronic stress can exacerbate hair loss and premature balding. Like lavender oil, the sweet-smelling vetiver essential oil has a soothing effect that offers therapeutic benefits for the mind and body to slow hair loss. Warm 2 tablespoons of almond oil and mix this with 6 drops of vetiver oil. Leave this herbal oil blend to seep into your scalp for at least 2 hours or overnight before shampooing your hair. The antioxidant property of vetiver essential oil protects the hair follicles from the worst effects of free radicals. Ylang ylang oil is extracted from Cananga odorata tree and has strong properties that help to fight dry scalp symptoms caused by low production of sebum. When the scalp does not produce enough sebum, the hair becomes brittle and breaks off easily resulting in significant hair loss. Ylang Ylang works by stimulating the sebaceous gland to increase production of sebum. Increased sebum production hydrates the scalp and moisturizes the hair. Perform an ylang ylang hot oil treatment by mixing 5 drops of the essential oil with coconut oil or warm olive oil. Massage this herbal oils blend to the scalp, dip a towel in warm water and use it to cover your head to allow the essential oils to seep deep into the scalp to stimulate the sebaceous glands. Leave the hot oil treatment in for about 1 hour before shampooing you hair. Widely used in perfumery, Ylang Ylang essential oil has a soothing effect and can help to minimize stress brought on by hormonal imbalance especially in women, which can lead to hair loss. Ylang Ylang essential oil for hair loss is therefore recommended for its therapeutic benefits, which include restoring hormonal balance and overall health. 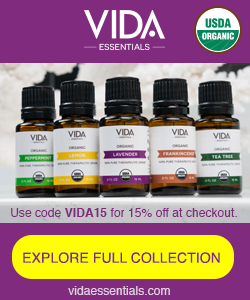 The popularity of essential oils has led to a booming market of people selling these oils. 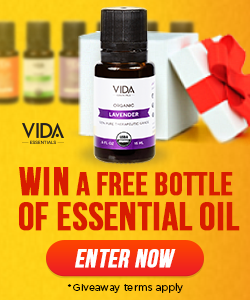 Not every oil labeled ‘essential oil’ is in fact the real deal; the proliferation of sellers can make it difficult to find high quality essential oils. So far, Eden’s Garden and Plant Therapy who sell their products on Amazon have proven to be the most dependable suppliers of the essential oils mentioned above. Eden's Garden not only provides high quality oils that are constantly batch-tested, but they also carry a Kids line of products that are safe for your little ones. Take a look here. How to Prepare an Essential Oils "Hair Growth Blend"
For best results, mix the essential oils with the carrier oil if you are planning to clean your hair the following day. However, if you will not be washing your hair the following day, you can blend the essential oils with emulsified water. Before using any essential oils for hair, it is recommended that you do a patch test for any potential adverse reactions. For more content on the use of essential oils, take a look at our post on best essential oils for wrinkles or our roundup of oils for sinus headaches.